Hazardous gases in the air are extremely difficult for humans to detect until it is typically too late, such as with carbon monoxide, a common gas known for being potentially lethal. Short of using a device that can monitor the air nearby, the person simply won't know there is an invisible danger until they either smell or taste it, their skin is irritated, or they feel some other medical symptom. While there are devices and detectors capable of determining the presence of poisonous gases and alerting the user, they are separate items that most people simply would not feel the need to carry around with them. The ability to slip such functionality into a smartphone or another regularly-used item would give an easily portable warning device that could be widespread and effectively blanket many areas with a level of enhanced safety around gases. In a pair of patent applications published by the US Patent and Trademark Office on Thursday, Apple has come up with a few ideas for sensing the air for elements, and alerting the user based on the system's findings. The first application, titled "Compact Particulate Material Sensor," is more aimed at being able to detect air pollution. Apple notes fine particulate matter with a diameter smaller than 2.5mu.m is only visible as a haze at elevated levels, but can be easily breathed in and "probably never leave the body," which could exacerbate conditions of respiratory disease. A conceptual diagram of the particle detection sensor system. Apple's solution is to use a particulate matter sensing device comprised of a light source pulsing light at a specific wavelength, and a number of photodetectors. A thin film filter over the photodetectors is tuned to be transparent to scattered light of a similar wavelength to the pulse, allowing the pulse reflected from particulates to pass through. A second version also suggests the use of a charge-sensitive electronic circuit that is configured to reject background light, an addition that could allow such a system to reject any false positives caused through externally-sourced light waves that happen to use the same wavelength from being detected. 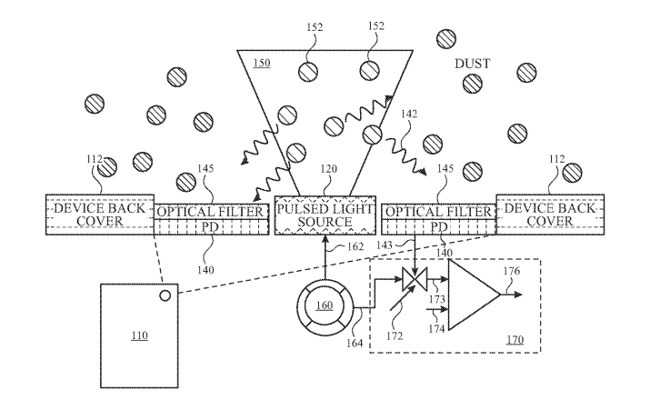 Apple reckons this system is superior to existing dust particle detector methods that use a pump to blow air into a dark tunnel, which is then hit by an infrared light pulse, with back-scattered light detected and interpreted to provide a result. These sorts of detectors "have a number of shortcomings," and due to requiring an air pump and a hole on the host device, do not lend themselves to be easily integrated into a smartphone or tablet. The second related patent application, "Systems and Methods for Environment Sensing," which is effectively for the detection of chemicals in the air. While this would be useful for safety applications alone, Apple also suggests the system would use sensors to sense a smell associated with a "chemical species." and when fed into an artificial intelligence engine, could provide "smell recognition capabilities." The application outlines the use of ionic liquid sensors, tuned to particular ranges, enclosed in a micro electro-mechanical system (MEMS) on a chip. Covered with an air-permeable layer, the chip can also include a heater used to raise the temperatures of the ionic liquid sensors, to reverse any chemical processes and effectively return them to a pre-sensing state for reuse. An example of a smell-sensing board with multiple sensors. Using multiple sensors with different resistances, the sensors could be used to measure multiple different types of chemicals in the air, or be able to provide some indicator of how much of it is in the air. Alternative versions include the use of an analog multiplexer, a low pass filter, and an analog-to-digital converter for preprocessing signals and to create digital versions. Though the main concern of the system would be for air safety, the ability to smell could help in other ways, with the application suggesting there could be "spoiled food material detection, body odor detection, and health applications." 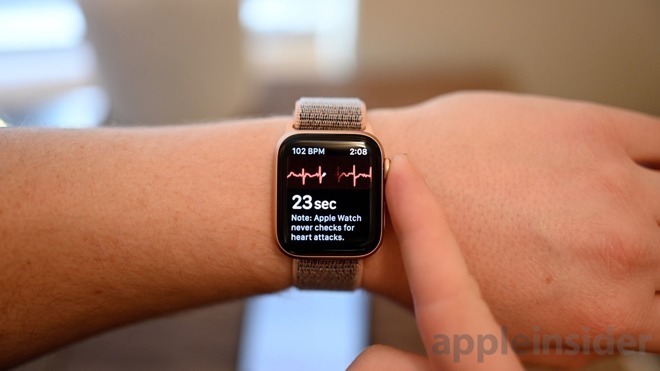 In one example, a user's sweat could be "smelled" to determine their blood sugar levels, something that would enable a device like an Apple Watch to perform a form of glucose monitoring without relying on direct contact with the user or requiring an embedded sensor in the user's skin. Apple files numerous patent applications with the USPTO on a regular basis, and while the publication of a filing may be an indicator of areas of interest to the company, there is no guarantee the concepts described will actually make it into a consumer product or service. This is not the only time Apple has considered adding gas-sensing technology to its devices, as one patent application from January suggested the use of "chemically robust miniature gas sensors" for mobile devices, wearable deices, and smarthome and IoT hardware. Another December 2016 patent for "Electronic device with speaker enclosure sensor" suggested the use of an environmental sensor within a speaker cavity, an idea that would give the sensor some protection from the elements as well as allowing the natural movement of air via the speaker diaphragm to help the sensor collect samples. 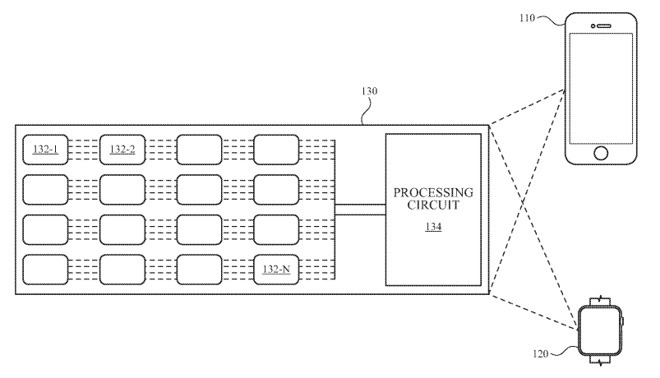 On blood sugar monitoring, Apple has considered the use of a non-invasive system, with an August 2018 patent application suggesting an optics-based version that analyzes the user's skin.